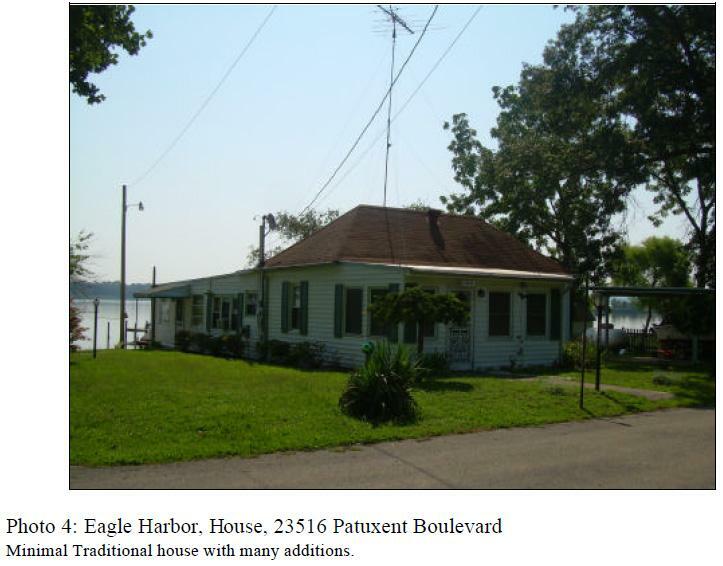 “The resort community of Eagle Harbor began to develop in the 1920s at the site of an ancient river port, Trueman Point (87B-028), on the Patuxent River.”1 Eagle Harbor is located 25 miles south of the beltway down Route 5, then through Brandywine and Aquasco along two-lane country roads. The town has no commercial establishments; the closest convenience store is three miles away. There are no police or fire departments and the residents say they rarely have any problems other than the occasional burglary of a vacant summer property. In the nineteenth century, Trueman’s Point was acquired by Weem’s Steamboat Company and served as a steamboat port into the wentieth century. In 1925, developer Walter L. Bean purchased several parcels of land from families who had lo ng owned considerable amounts of land in area. One such farm was owned by a white family, Thomas Wood and his family. The area was originally known as Woodville. 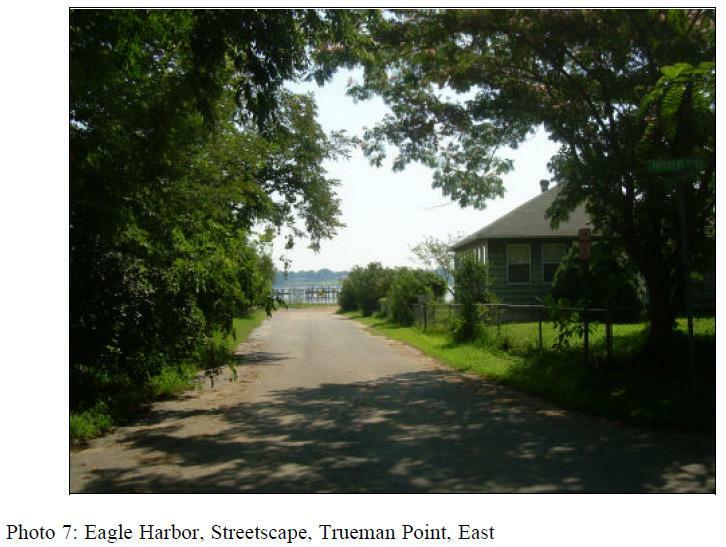 Bean purchased this land, adjacent to Trueman Point, with the idea of creating a resort community for African-Americans from the Washington area. The Washington Tribune ran short articles in the 1920s focusing on the Eagle Harbor news. Social topics such as who visited who and what was the weekend entertainment were mentioned. Public notices were also posted during local Eagle Harbor elections. 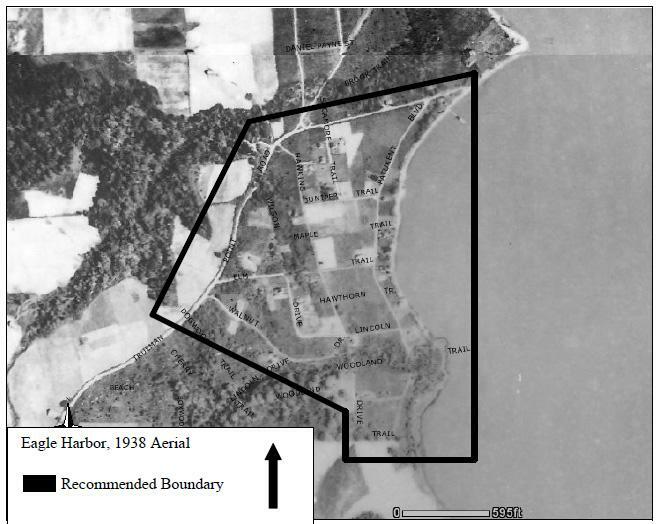 This second community, Cedar Haven, never equaled Eagle Harbor’s success as a resort, and much of its land has remained undeveloped. Eagle Harbor is still a small and quiet river front community; there are piers for fishing and boating, a town hall and public parkland, but not a trace today of the several hotels which once attracted visitors. In recent years, Trueman’s Point has become a popular spot for church baptisms, “with busloads of worshippers arriving each summer for ‘total immersion’ ceremonies in the shallows of the Patuxent.”9 Although the baptisms continue, swimming is no longer allowed due to the quicksand- like pull of the silt on the bottom of the river. 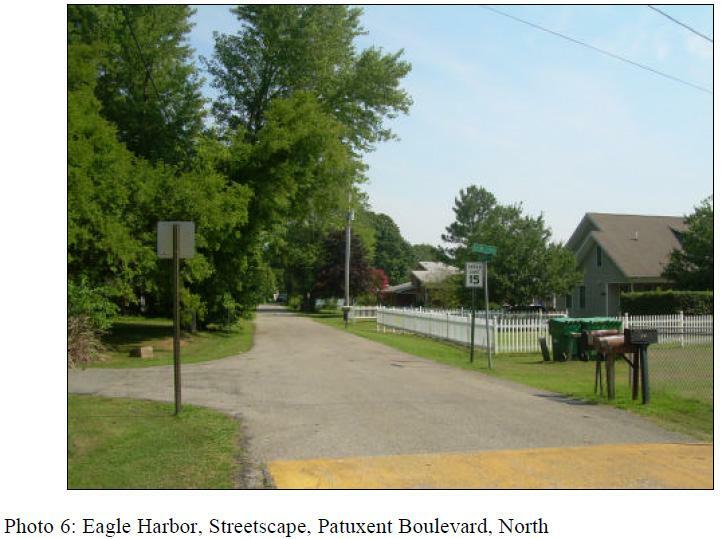 Today in Eagle Harbor there are approximately 60 dwellings, only four of which are from the early building period; most of the buildings are for summer use only, and for most of the year the atmosphere of the community is quiet and rural. 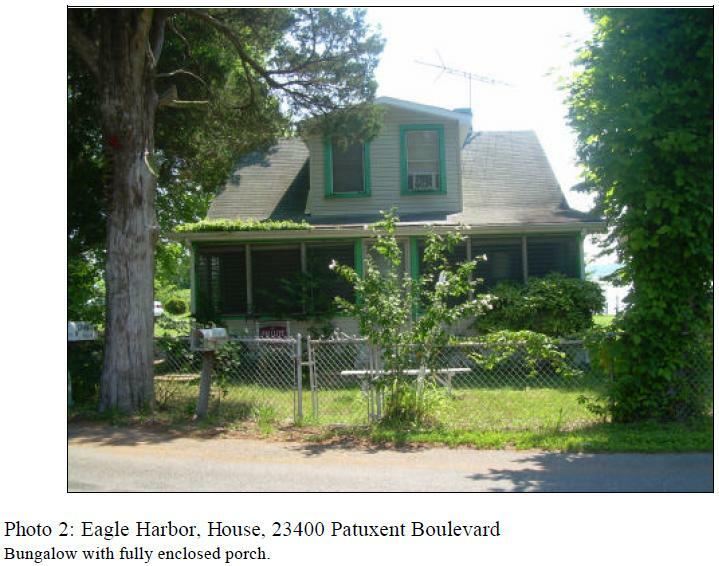 10 In 1987 an article in the Washington Post described Eagle Harbor as “a concentration of older clapboard and cinder block houses, mostly painted yellow, green and white. There are picnic tables, metal lawn chair sets and fishing boats in almost every yard.”11 The area is true to its rustic resort roots with homes having wells for drinking water and private septic tanks. There are no historic resources in Eagle Harbor. 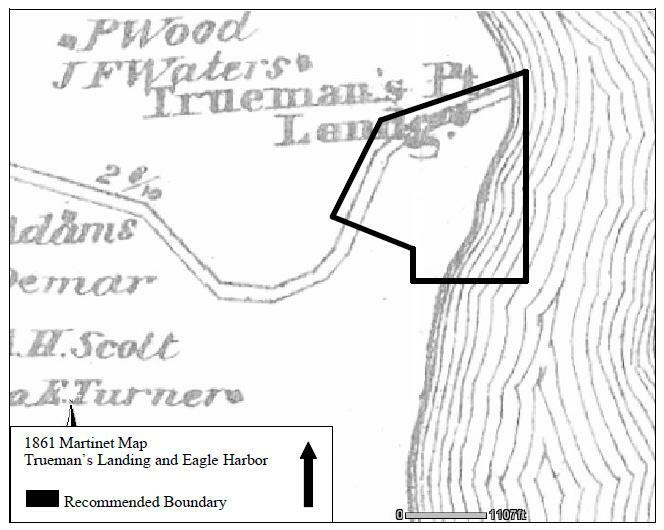 Historic resource 87B-028 Trueman’s Point (Landing) is located to the northeast of the community, at the end of Trueman Point Road. Park & Planning Commission: Prince George’s County 1996. The Washington Post. Various Articles. 1980s through 2001. The Washington Tribune. Various Newspaper Articles and Advertisements. 1920s. 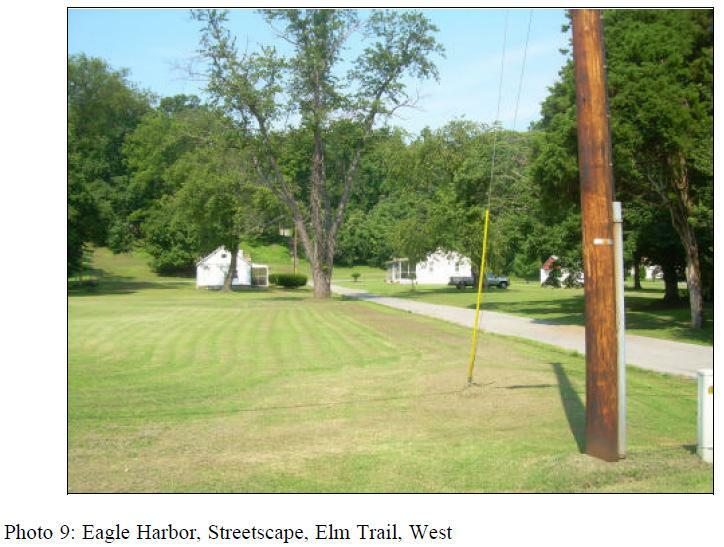 A windshield survey of Eagle Harbor was conducted in July of 2008 which counted 60 houses within the historic resort community. Eagle Harbor remains a small, rural community with only a handful of houses fronting the narrow streets and the water’s edge. The streets are narrow, single lane with no curbs, sidewalks, off-street parking or lights. The houses, which are mostly one or one-and-one-half story, gabled cottages and bungalows, often have porches and large, unfenced yards. Many of the houses have been modified by the replacement of original materials. Most of the properties have a small shed, a garage or outbuilding. Many of the lots were sold; however, due to the small size of the average lot, many lots were required to build, and today are vacant or unimproved. 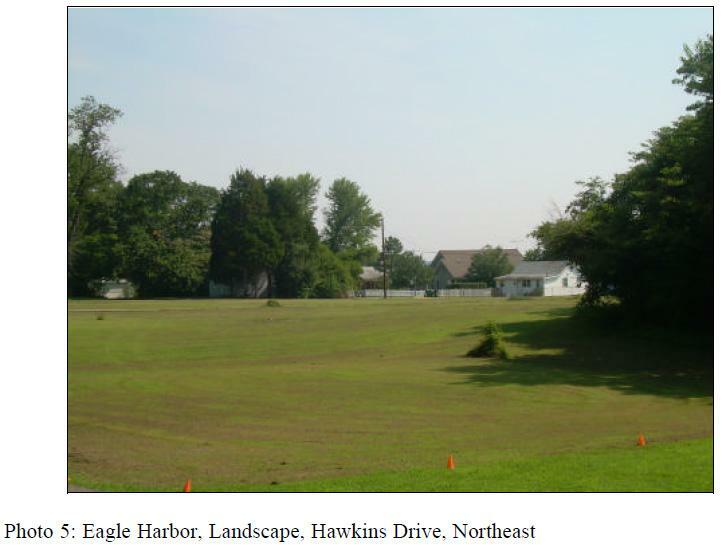 Unlike the neighboring community of Cedar Haven where many of the lots never sold and dense foliage has grown over them, in Eagle Harbor open lots are extensive, manicured, open fields. 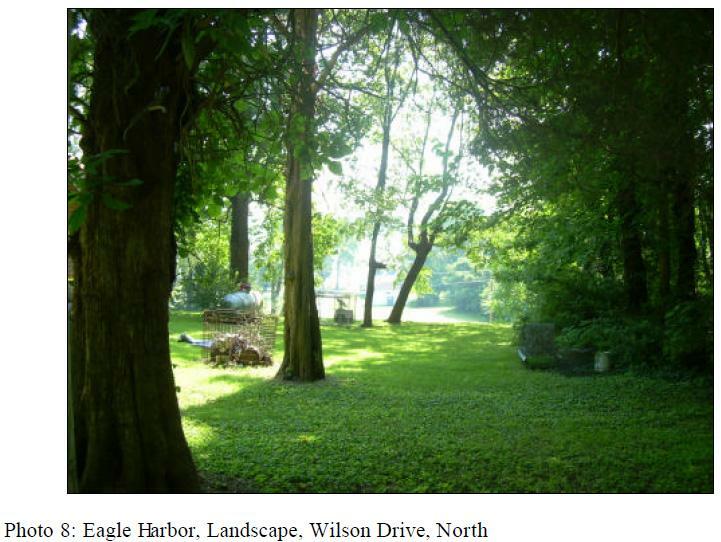 Eagle Harbor is representative of several Prince George’s County Heritage Themes including Black History and Social History. 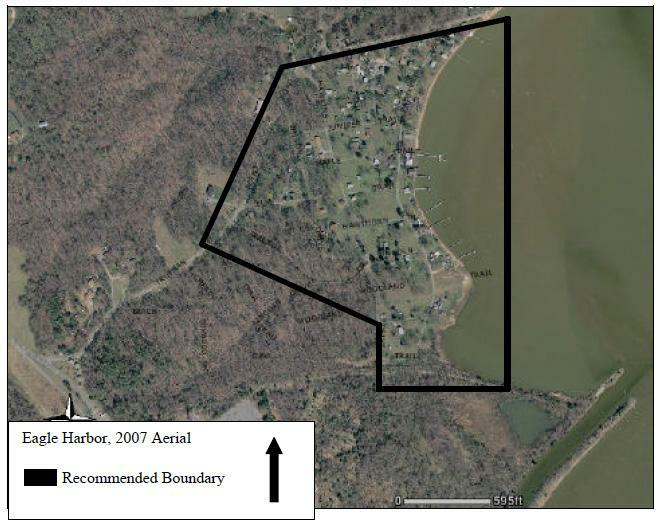 Eagle Harbor meets the following qualifications for designation as a historic district in Prince George’s County. (1)(A)(i) and (iv) Eagle Harbor is an important example that survives today of an African-American community that developed during segregation. The community was designed specifically as a retreat for African-Americans. (2)(A)(iv) The community of Eagle Harbor represents an important place of recreation for middle class African-Americans in the early to mid twentieth century. 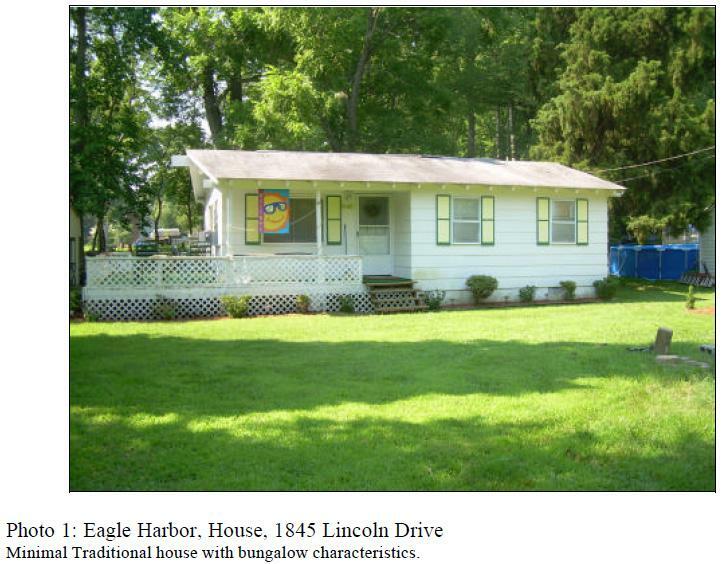 The history of Eagle Harbor, in conjunction with that of Cedar Haven is a significant representation of an African-American resort community, which was very popular in an era of segregation and social change. 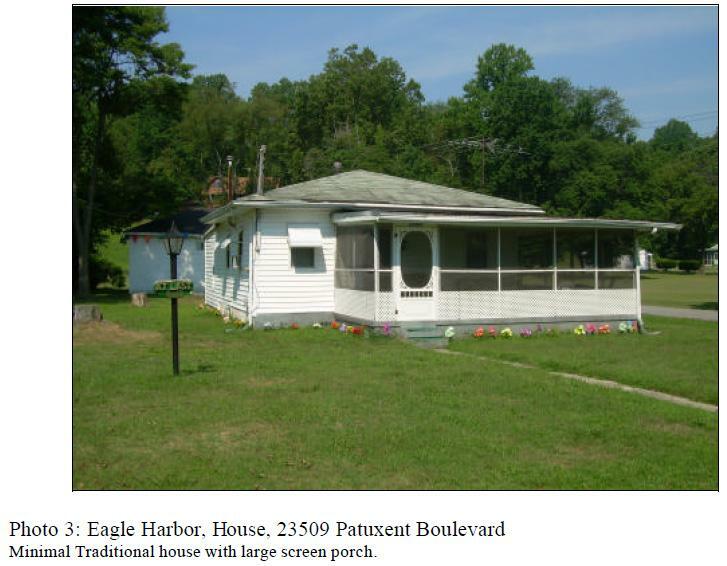 Eagle Harbor meets qualifications for designation on the National Register of Historic Places as a historic district under Criterion A, as an example of an African-American community that developed a resort destination. 3 The Washington Tribune. Various Newspaper Articles and Advertisements. 1920s. 5 The Washington Post. Various Articles. 1980s through 2001.